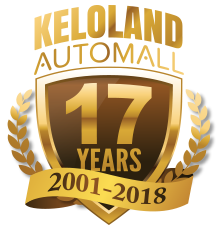 For 17 years, the KELOLAND Automall has been the Siouxland's favorite place to shop for new and used vehicles. Everything from recreational vehicles, motorcycles, powersports, cars, trucks, SUVs and even repairables. The KELOLAND Automall powered by Carbase.com and in association with KELO TV, is the premier marketplace for vehicle inventory from the regular car dealer to selling a vehicle as a private party in our region. You will find all makes & models: Buick, Chevrolet, Ford, Dodge, Nissan, Toyota, etc. KELOLAND Automall is your one-stop resource, for Sioux Falls, Rapid City and all east and west river regions in SD as well as MN, ND, NE, and IA.